Who Does the Blue Cash Preferred Card Appeal to Most? Decision Time: Is the Amex Blue Cash Preferred the Right Card for You? Being able to earn rewards for normal purchases will always be a really good thing. When you have access to a credit card that has bonus categories that are easy to take advantage of, it can really be very lucrative. You will be able to earn some money back on your purchases and it can help you to offset some of your expenses. This is helpful for families and individuals from all walks of life so it is not surprising that many people are seeking the perfect rewards credit cards to suit their needs. 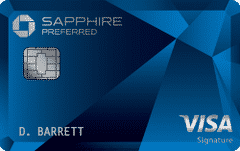 One rewards credit card that is starting to turn some heads is the Blue Cash Preferred Card from American Express. This card offers cardholders a potentially very useful rewards experience. Those who make use of this card can expect to earn extra cash back on grocery purchases and gas station purchases. Being that these are common shopping destinations for literally everyone, this card has a lot of potential as a rewards card. 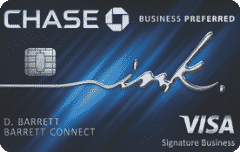 Today we are going to take a deep look into the Blue Cash Preferred Card from American Express. This will allow you to see whether or not it is going to fit in with your needs. It is a card that definitely has a lot of uses and it is easy to see the appeal of it right away. Even so, it is a good idea to join us in examining it thoroughly so that you can make a truly informed decision on whether you should sign up or not. You’ll earn a $200 statement credit after you spend $1,000 in the first 3 months. You’ll earn 6% cash back at US supermarkets. (up to $6000 in purchases per year) You’ll also earn 3% at US gas stations. This is THE best card for grocery shopping. One of the negative aspects of this card is that it has a high annual fee. You will need to pay out a $95 annual fee in order to make use of this credit card. This is an annual fee that is quite a bit higher than many other rewards credit cards of this tier. Even so, it is possible to completely mitigate this annual fee with your earned rewards if you spend enough money on groceries every month. You will have access to a good introductory APR offer when you sign up for this credit card too. This can be nice if you want to be able to carry a balance on the card for a little bit without having to worry about interest. The introductory APR is good for 12 months and it covers both purchases and balance transfers. There are some other fees that you need to be aware of before signing up for this credit card too. The balance transfer fee is set at 3% with a minimum fee of $5. This is offset somewhat by the fact that there is an introductory APR offer but the fee will still apply. Be aware of this if you plan on transferring a balance to this credit card. This card also has a foreign transaction fee of 2.7%. Granted, this is not a card that many people will expect to use outside of the country often. Regardless, if you travel outside of the country often, this could be a bit of a nuisance. You will want to remember that this fee exists so that you can avoid using the card while you are abroad. One of the neat features that will help to make this card more appealing is the welcome bonus. You will be able to earn a pretty hefty statement credit when you spend a certain amount of money within the first three months. This makes it so that you can offset some of your monthly expenses right away by simply using the card as normal. It is a good feature that will definitely go a long way toward making the card appealing right out of the gate. You will also be able to take advantage of a free ShopRunner membership once you are enrolled. For those who are not aware, this is a bit of an Amazon competitor. It gives you the chance to shop online while getting free two-day shipping from many of your favorite retailers. Having access to this membership for free can certainly be helpful for anyone who buys a lot of odds and ends online. This credit card comes with many different benefits that will make being a cardholder that much better. You will have access to convenient perks such as car rental insurance. This can help you out when you are traveling and it will lessen some of your potential costs. If you have to rent cars for business from time to time, then this will help you out somewhat. Purchase protection is a benefit that many people will be using when they sign up for this card. If you have any problems with your purchased item becoming damaged or getting stolen, then you can be reimbursed due to this handy feature. It may be a standard feature but it is one that you will be happy to have around. Return protection is also available when you make use of this credit card. Cardholders will also have access to extended warranties. Many products that you purchase using this credit card will be eligible for a one-year warranty extension. Being able to keep products covered by a warranty for longer periods of time is always a good thing. As mentioned earlier, this credit card is going to give you increased rewards potential for certain categories. The biggest rewards category is going to be grocery purchases. Cardholders will be able to earn 6% cash back on all purchases that are made at grocery stores. This is a very high percentage and it will allow you to earn cash-back rewards at a very high rate. There is a cap on how much you can earn at the 6% rate, though. You will be able to earn 6% cash back on your first $6000 spent on groceries in a calendar year. An average household of four people will spend a bit less than $6000 each year on groceries, though. This means that you will more than likely earn 6% cash back on all of your grocery purchases. If you do reach the cap, then you will only earn 1% cash back on the rest of your grocery purchases for the year. It also needs to be said that some common places where groceries are purchased will not be included in the 6% cash back category. This credit card does not consider department stores such as Target or Wal-Mart to be grocery stores. If that is where you do all of your grocery shopping, then you may only earn 1% cash back. To take advantage of this card, you will need to shop at a normal grocery store so it may be beneficial to check whether or not your local grocery store will count ahead of time. You will also be able to earn 3% cash back on all of your gas station purchases. Although not quite as high as the rewards potential for the grocery category, this is still a very beneficial cash-back amount. Also, this bonus category is not going to be capped at all. You can earn 3% cash back on gas purchases no matter how much you spend on gas in a year. This can allow you to earn a steady stream of cash-back rewards if you travel quite a bit on the road. Redeeming your rewards will be easy. You will be able to redeem your earned cash-back rewards for a statement credit. The one caveat is that you will have to do at least a $25 redemption. This means that you must earn at least $25 before you will be able to actually use the cash-back rewards. Most people will not want to redeem the cash-back rewards until they have racked up a bit anyway, though. The great rewards potential of this credit card is the true reason to sign up. Even with the higher-than-usual annual fee, this credit card stands out for being truly fantastic. You will be able to earn ample cash-back rewards by purchasing groceries and gas with this card. It will allow you to rack up cash back rewards quickly and you will love how practical it is to use this card. It is easy to redeem the cash-back rewards that you have earned too. As long as you have earned at least $25 in rewards, then you will be able to redeem your rewards for a statement credit. The $25 minimum redemption amount should not bother most people at all. You will be earning rewards at a high rate so you will likely earn much more than $25 in cash-back rewards in any given month. The nice welcome bonus is another huge benefit to this credit card. If you like being able to take advantage of a good welcome bonus, then this card is going to appeal to you. You will be able to earn the welcome bonus without too much difficulty. It will give you a nice statement credit amount that you can use and it makes signing up that much sweeter. The high annual fee of $95 is going to wind up scaring off some people. If you do not think that you will be able to use this card enough to justify this high annual fee, then you may want to shy away from this card. There are many other rewards credit cards on the market that do not have an annual fee attached to them. At the very least, there are credit cards that have lower annual fees that you could consider. Many people are going to be able to make up the annual fee amount pretty easily by just using the card regularly, though. It really just comes down to how much money you spend on groceries and gas in one calendar year. If you buy groceries a lot, then you can probably justify signing up for the card even with the annual fee being so high. Think about the rewards potential of the card before considering this a true negative. It can also be said that this card has a low standard cash-back rate. Only being able to earn 1% cash back on your purchases outside of grocery stores and gas stations might be a bit of a letdown. If you wish that there was a better standard cash-back rate, then you may want to turn to other credit cards. There are many credit cards with a standard cash-back rate of 2% or higher that you may wish to consider. This is an American Express Card too, which means that it will not be accepted everywhere. American Express is a very reputable credit card company but they are not as prevalent as Visa or MasterCard. This means that some places may not accept your credit card. It will likely be accepted in most of the places where you would like to use it but you should still be aware that American Express does have some limitations when compared to Visa and MasterCard. In order to get approved for this card, you are going to need to have a very good credit score. The recommended score to shoot for when looking to get this credit card is 690. Those with excellent scores are going to have an even better chance of being approved. Remember to take the time to check your credit score before you apply so that you will know if you have a shot or not. This credit card is going to appeal to many different people. Most people are going to spend a fairly significant amount of money on groceries and gas every single month. These are very common spending categories that most people are going to be able to hit very often. As long as you are not the type who simply eats at restaurants all the time, you will likely be able to make great use of this credit card. It is possible that this card will appeal even more to families. Families are going to go through more groceries on a monthly basis than just a single individual. For this reason, families will be able to make really good use of this credit card without it being too much of a hassle. If you simply use this card to buy your groceries every month, then those rewards are going to come rushing in frequently. Being able to earn 3% cash back on gas station purchases is great as well. If you have a long daily commute to your job, then this will be a credit card that appeals to you. You can use the card regularly for your gas purchases and will earn a good deal of your cash back. It is a very good credit card for many different people and just about everyone has to buy gas frequently. 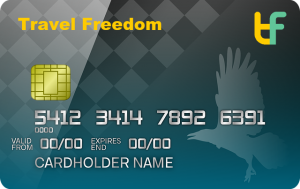 For some people, the Chase Freedom Card might be a better fit than the Blue Cash Preferred Card from American Express. The advantage of the Chase Freedom Card is that it will offer 5% cash back on the first $1500 spent on various bonus categories. These categories will rotate in and out on a quarterly basis. You will receive 1% cash back on all of your other purchases. What really makes this more appealing to some people is that the Chase Freedom Card does not have an annual fee. If that high annual fee of the Blue Cash Preferred Card from American Express scares you off a bit, then you may wish to go with the Chase Freedom Card instead. Both are truly excellent credit cards but that annual fee is not going to sit well with everyone. Consider the positives and negatives of each card and then make your ultimate decision between the two. 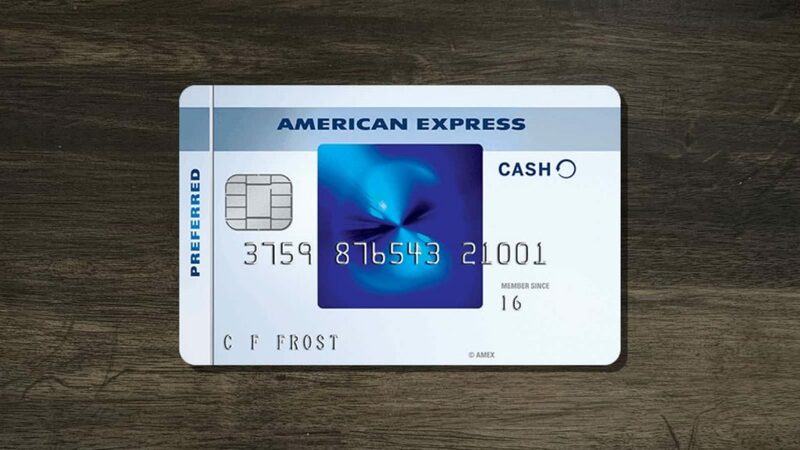 The Blue Cash Preferred Card from American Express is a fantastic addition to just about anyone’s wallet. This is going to allow you to earn a significant amount of rewards on a yearly basis. If you make use of this card correctly, then you can really offset a lot of your gas and grocery costs throughout the year. It will be a very practical credit card to use for gas and grocery purchases every single month. If you are the head of a family and you go through a lot of groceries every month, then you will really start to see the benefits of signing up for this rewards card. It has some good features and there are other factors that also make it appealing aside from the rewards potential. Even so, just about anyone will recognize how useful this card is from a rewards perspective. If you buy groceries frequently, then you should definitely consider signing up for this credit card.